PENN YAN—Oak Hill Bulk Foods, Inc. is planning for an expansion. Finger Lakes Economic Development Center Chief Executive Officer Steve Griffin made an announcement about Oak Hill Bulk Foods’ renovation project during the group’s meeting on Wednesday, March 21. During Wednesday’s meeting, FLEDC agreed to fill out a State Environmental and Quality Review Act (SEQR) form for Oak Hill Bulk Foods. Griffin explained the purpose of the form is to ensure construction will have no negative environmental impacts. In New York, SEQR requires that along with social and economic factors, state and local government agencies consider the environmental effects of any planning development. Before going forward on a decision, agencies must assess the environmental significance of an approved action. Griffin mentioned FLEDC has helped Oak Hill Bulk Foods with renovation projects in the past. In 2009, FLEDC assisted with a store expansion which involved adding a café and bakery to the facility. According to Griffin, the estimated cost of the new expansion is $115,000. He said the food company will be looking to add four more jobs once renovations are completed. Along with doing an environmental assessment, Griffin noted Oak Hill Bulk Foods will need to get approval from the Barrington planning board before breaking ground on the expansion. 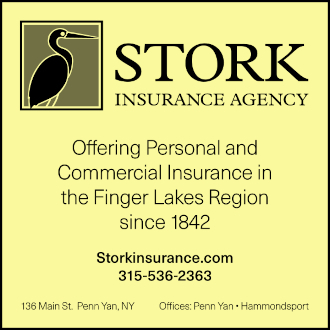 • Office space leases in Keuka Business Park were approved for Dr. Arnold Shapiro and David Hansen, C.P.A. • The next regular FLEDC meeting will be on Wednesday, April 18 at 8 a.m. at Keuka Business Park.